What an amazing blend of nutritional goodness! Let’s start with the flaxseed – it’s high in fibre and is one of the richest plant sources of the Omega 3 fatty acid Alpha Linolenic Acid found in nature. Then there is the delicious mix of almonds, brazil nuts and walnuts, packed with natural protein. Finally there’s the highly effective anti-oxidant Co-enzyme Q10, contributing to the production of energy in every cell of the body. Moreover, this blend is high in magnesium and selenium too. All you have to do is add a spoonful or two to cereal, yoghurt or salad to benefit from this natural nutritional boost. The Linwoods Milled Flaxseed, Nuts & Co-enzyme Q10 - 360g product ethics are indicated below. To learn more about these product ethics and to see related products, follow the links below. I enjoy a spoonful of this on my breakfast cereal. 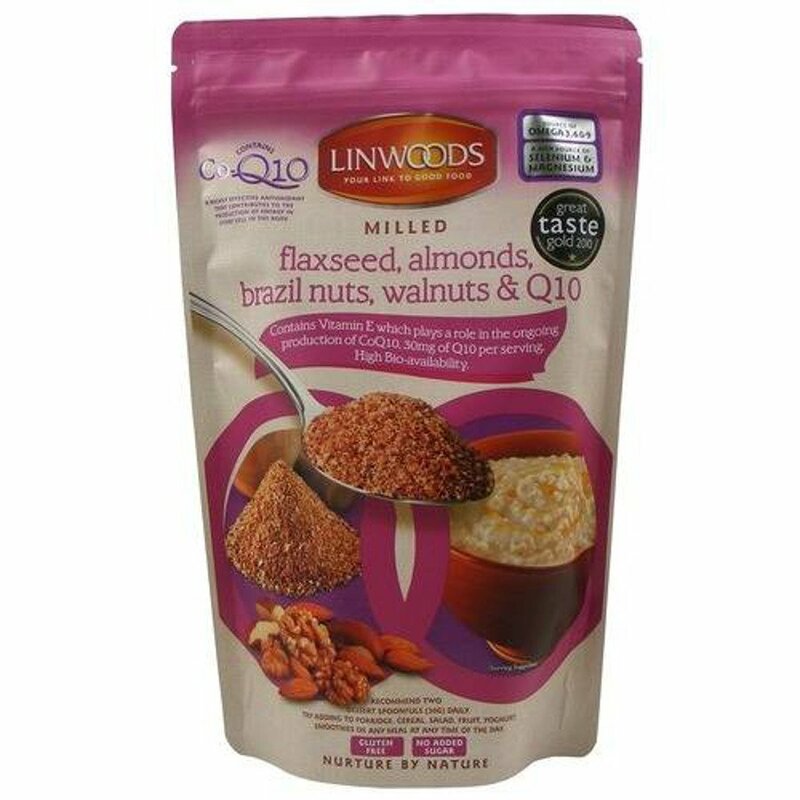 There are currently no questions to display about Linwoods Milled Flaxseed, Nuts & Co-enzyme Q10 - 360g.